Pakistani police have clashed with anti-Charlie Hebdo protesters outside the French consulate in Karachi. An AFP photojournalist has been wounded and is in serious condition. The protesters mostly belong to the local Jamaat-e-Islami student group, and they attempted to march to the French consulate in Karachi. In response, police fired tear gas and used water cannons to crack down on the rally. 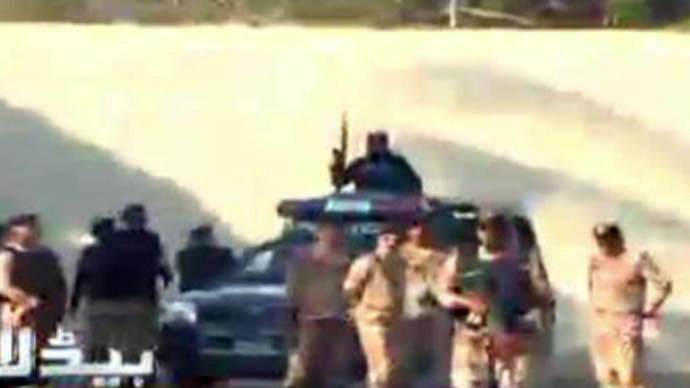 A photojournalist was injured and taken to hospital, footage from local news agency SAMAA has shown. "AFP photographer Asif Hasan suffered wounds resulting from gunshots fired by ... protesters,” Abdul Khalique Shaikh, a top police official in southern Karachi, told Reuters. ‘Police have not opened fire." Protesters broke windows of a few cars, and threw stones at security forces, chanting slogans against Charlie Hebdo and calling for a ban on the magazine. Earlier, in Pakistan, dozens of lawmakers marched near the country’s parliament in Islamabad, calling for "death to blasphemers." The new, “survivors” issue of the satirical magazine Charlie Hebdo has caused anger from Muslim communities across the globe, with believers protesting all week. More rallies are to happen after Friday prayers.